9490 mostly Kurdish people fell in the fight against ISIS. 2,,000+ Arabs and 45 Internationals fell also. Here are many of their faces. We will remember them forever. Sehid Namrin! Having liberated Baghouz in the final operation to “Defeat Terrorism” as part of the Operation Jazeera Storm, Syrian Democratic Forces (SDF) ended the ground control of ISIS in its last pocket. The SDF planted their flag early this morning to symbolize the complete liberation of Baghouz, the last piece of land ISIS had under their control. Palestinian writer Nayrouz Qarmout, living in Gaza, sent a solidarity message to HDP Hakkari MP Leyla Güven. The young Palestinian writer has been telling ANF about the brutal aggression suffered by another writer, Fatah representative in Gaza, Atef Abu Saif. Nayrouz sent a message to HDP Hakkari MP Leyla Güven on Newroz day, proud of carrying a name of a Kurdish friend of her mother, Newroz, who fought for the freedom of her land, language and people. French Communist Party Senator Pierre Laurent highlighted the growing pressure on HDP before the 31 March local elections. The Communist senator urged everyone to “support Abdullah Öcalan, who has called for peace negotiations with Erdogan countless times in the past few years”. The pro-Kurdish Peopl’s Democratic Party hopes the 31 March municipal elections will repudiate the government’s removal of its officials from local offices, but President Recep Tayyip Erdogan has warned that he reserves the right to do so again. Abdullah Ocalan is not being held in line with human rights law, a Welsh Assembly motion passed following a Plaid Cymru-led debate said. Foreign affairs are not devolved, but Welsh minister Eluned Morgan said she had discussed the issue with the Turkish ambassador. Conservative AM Darren Millar called the motion distasteful. Abdullah Ocalan, who has been in a high-security prison in Turkey since 1999. As DTK co-chair and HDP Hakkari MP Leyla Güven reached day 129 of her hunger strike, thousands have joined her in prisons, Hewlêr, Wales, Strasbourg, Toronto, Amed and many more cities. The hunger strike carried out by the HDP deputies in the party’s provincial building is supported by 150 people, including HDP, DBP and ESP executives, civil society organization representatives, members of the Peace Mothers’ Assembly, the DBP co-mayors removed by the State and families of hunger strikers in prisons. Kurdish fighters and their allies in the Syrian Democratic Forces launched an assault on the final stronghold of the Islamic State terrorist group in Baghouz, Syria. Some IS militants have dug in, prepared to fight to the death. US-backed Kurdish forces have killed “dozens” of Islamic State (IS, formerly ISIS or ISIL) jihadists overnight, SDF spokesman Mustafa Bali said on Twitter. IS militants have dug in to their positions, however, and launched several suicide attacks on the Kurds and SDF. Syrian Kurdish authorities that led the fight against Islamic State are prepping for their next battle: a political struggle to win international recognition for their autonomous region and aid to help it recover from the war. Kurdish MP Leyla Güven has now been on hunger strike for more than 120 days. Her body has begun to shut down; she can hardly speak. Alongside over 300 other hunger strikers, Leyla is standing in solidarity with the imprisoned Kurdish leader Abdullah Öcalan – they’re calling for his isolation and solitary confinement at the hands of the oppressive Turkish government to end. And they may pay for this brave stand with their lives. “I’ve never seen anything like it,” Unite assistant general secretary Tony Burke told UniteLive, recounting a visit he had with Leyla in February. “She was racked with pain. Turkey’s Foreign Ministry summoned Belgian Ambassador to Ankara Michel Malherbe on March 11 over a Belgian judicial decision it said had blocked the prosecution of people with alleged links to the illegal PKK, a ministry official said. The ministry last week described the decision by the Belgian Chamber of Indictment as unacceptable and said Belgium was expected “to act in line with [its] counter-terrorism responsibilities”. The European Court of Human Rights (ECHR) on Tuesday found that Turkey violated freedom of expression regulations by systematically opening criminal charges against the publisher of a pro-Kurdish newspaper, regardless of content. In a unanimous decision, the ECHR ordered Turkey to pay 3,500 euros to Ali Gürbüz, owner of the Istanbul-based daily Özgür Gündem. The case concerned seven sets of government charges against Gürbüz from 2004 to 2011 for publishing statements from the Kurdistan Workers’ Party (PKK), which has fought an armed insurgency for self-rule in Turkey since 1984 and is listed as a terrorist organisation by Turkey, the United States and the European Union. Military attempts to clear Islamic State fighters out of final enclave of Baghouz in eastern Syria have stepped up again this evening, with footage emerging of clashes by United States-backed forces taking place. It comes as The Sunday Times reported that two more British women have had their citizenship stripped after travelling to Syria and marrying Islamic State jihadis. The Foreign Secretary Jeremy Hunt has insisted that the Government is working on how to rescue the children of these women. On 7 March a delegation from the Basque country has arrived in Rojava. The delegation, which includes 6 representatives of Basque women’s organisations and groups, said they came to get to know first-hand the Rojava revolution. The delegation joined the 8 March International Women’s Day celebration. The delegation visited the canton of Hesekê on Saturday. During the meeting, experiences of both regions were shared, and the Basque women showed a video about the Basque country. Today the Kurds celebrate Newroz, the Kurdish New Year. A momentous twelve months has come to a close, and their fate in the year ahead hangs in the balance. For the followers of the liberational ideas of Kurdish leader and radical thinker Abdullah Ocalan, dangers assail them on every front. This week has brought us images of the Kurdish-dominated Syrian Democratic Forces celebrating their liberation of the last pocket of Daesh-held land. Their battle against Daesh has cost them thousands of lives, but they know that this victory will not end threats to the very existence of the autonomous Democratic Federation of Northern Syria, where they are putting Ocalan’s philosophy of grass-roots democracy, multiculturalism and women’s rights into practice. Today, Plaid Cymru will ask our National Assembly to support the Kurdish hunger strikers. We are calling the motion Imam’s Motion, after Kurdish-Welshman Imam Sis from Newport who has been on hunger strike since 17 December. He is currently living on vitamin B1 and B12 tablets, and one fresh lemonade a day, supplemented with herbal teas and salty water. It all began with Leyla Güven, a democratically elected Kurdish MP to the Turkish parliament, who has now been on hunger strike for over 120 days and is nearing death. Activist Moazzam Begg has placed the massacre of at least 50 Muslims in New Zealand into its wider context, blaming advocates of the so-called ‘War on Terror’ for actually ‘generating’ such far-right terrorism. This is a context that’s missing from the mainstream discourse on these killings. On 15 March 2018, a Turkish airstrike killed Anna Campbell. As I wrote at the time: “A British woman has died in Afrin, Syria. So many of my friends are grieving. And Theresa May has blood on her hands. But it’s not just Anna Campbell’s blood. May, her government, and her arms trade cronies are smeared in the blood of all the thousands of people who have died in Afrin, Yemen and countless other places”. A year later, several hundred people protested and blocked roads Bristol in her memory and in solidarity with the progressive revolution in Rojava, northern Syria. 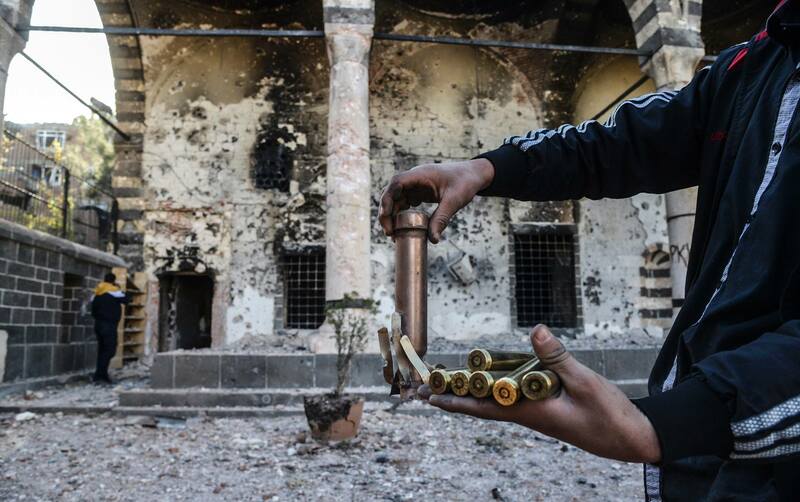 The Turkish state has once again shown a disgusting disregard towards its Kurdish population. Hunger striker Zülküf Gezen died in a Turkish prison after reportedly taking his own life. He was one of thousands of Kurdish people on hunger strike around the world, protesting the solitary confinement of imprisoned Kurdish leader Abdullah Öcalan. Gezen’s funeral was planned for Monday. The pro-Kurdish Peoples’ Democratic Party (HDP) had called for a massive turnout at the ceremony. An internationalist volunteer has spoken to The Canary about joining the armed resistance against the Turkish invasion of Afrin in northern Syria last year. In 2012, a revolution began in the majority-Kurdish region of Rojava in northern Syria. People organised themselves into communes, declared autonomy, and began practising stateless direct democracy. The revolution, however, was under threat from the very beginning and has faced invasion by Daesh (Isis/Isil) and Turkey. Hundreds of women and men from around the world have volunteered to join local people in defending the revolution. Turkish president Recep Tayyip Erdoğan and Israeli prime minister Benjamin Netanyahu continue their familiar feud, using social media and public speeches to blast each other. Meanwhile, #WeAreErdoğan trends on Twitter, as thousands of people claim to stand with the authoritarian Turkish president, while at the same time supporting Palestinians in their struggle. 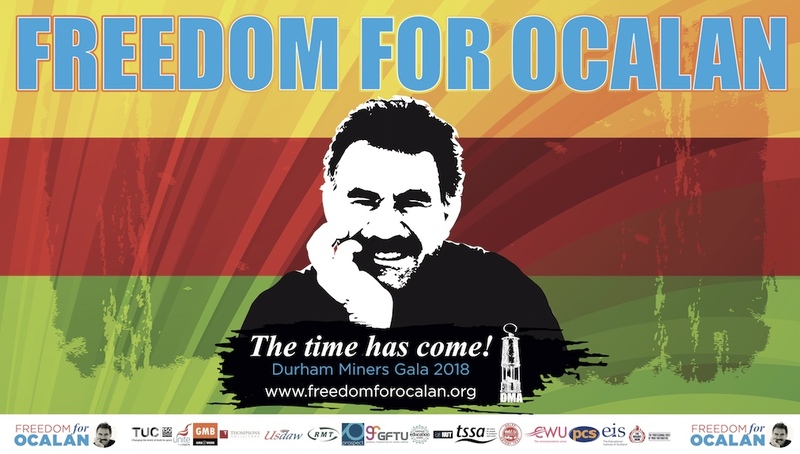 The Turkish Ambassador in South Africa wrote to the Independent Online (IOL) criticising an OP ED that “praised” Abdullah Ocalan “on a day that should be about honouring the struggle of women”. The IOL editor responded to the Turkish Ambassador. The two letters are published next to each other. The Saturday Mothers are a group of women who meet every week to remember and demand answers about their children, who were disappeared by the Turkish state. They hold pictures of their missing children and have traditionally gathered in the street to hold vigils. But women in Istanbul and Amed (Diyarkbakır) are no longer allowed to do this. Their gatherings have been banned by the Turkish authorities. An internationalist volunteer has spoken to The Canary about joining the armed resistance against the Turkish invasion of Afrin in northern Syria last year. In 2012, a revolution began in the majority-Kurdish region of Rojava in northern Syria. People organised themselves into communes, declared autonomy, and began practising stateless direct democracy. The revolution, however, was under threat from the very beginning, and has faced invasion by Daesh (Isis/Isil) and Turkey. Hundreds of women and men from around the world have volunteered to join local people in defending the revolution. On 3 March, The Canary met the Solidarity Association with Families of Prisoners and Convicts (TUAY-DER) in Amed (Diyarkbakır), Turkey. According to the association, there are 15,000 political prisoners in the country. And Kurdish lawyers told The Canary that, from 1 March, 5,500 prisoners are on hunger strike. Occasionally, there are days that are so powerful you know they’ll stick with you forever. These are the days that make writing hard; they make it difficult to know what words to choose to convey an experience. On 1 March, I met Leyla Güven at her home in Amed (Diyarkbakır), Turkey, on day 114 of an indefinite hunger strike calling for an end to Kurdish leader Abdullah Öcalan’s solitary confinement and to allow him access to lawyers and family visits. Twenty years ago today, Turkey announced Kurdish rebel leader Abdullah Öcalan had been captured in Kenya and brought back to Turkey. The Kurdistan Workers’ Party (PKK), the organisation he led, had been fighting the Turkish government for 15 years, seeking national liberation for Turkey’s Kurdish minority. When the PKK was established, it was illegal in Turkey to give a child a Kurdish name, to celebrate Kurdish holidays, or to speak Kurdish in public. Sometimes complex policy issues are best captured in a simple question. If ISIS leader Abu Bakr al-Baghdadi is captured alive tomorrow, who should prosecute him, where and for what crimes? When I pose this question to policymakers – in Western capitals or in the Middle East – I am often met with a blank stare. Most expect al-Baghdadi to be killed instead of caught. But even if al-Baghdadi is not captured alive, what about the thousands of ISIS members – some of whom held key roles in ISIS – currently detained in Syria and Iraq? What we have is a piecemeal approach that is deeply flawed. The Mesopotamian Water Forum is an alternative civil society forum for water, an open space to give voice to those who are marginalized and excluded from the discussion about water management in the Mesopotamian region. 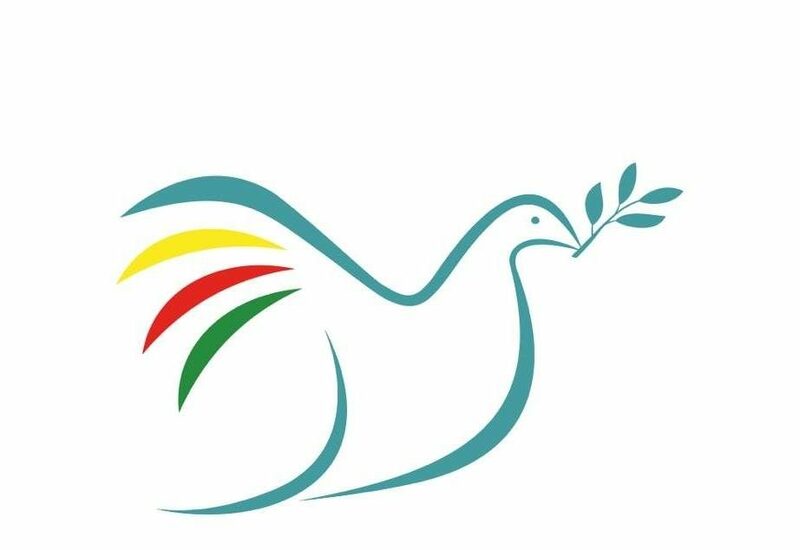 It will be held from 6-8 April 2019 at the University of Sulaimani in Sulaymaniyah, Kurdistan Region of Iraq, and will involve civil society actors from the entire region of Mesopotamia within the states of Iraq, Iran, Turkey, Syria. YJA Star Central Headquarters Command said, “Newroz 2019 will be the Newroz of freedom” and called all women to gather around the bonfire of the new day of struggle and to meet in the freedom halay. They issued a statement saying “Having created great meaning for the values of freedom that the peoples of the Middle East have achieved through fighting the slaving systems and through resistance, PKK is a party of the Newroz”. PKK Executive Committee stated that they are greeting Newroz with a historic and wholistic resistance in the line of victory and said, “All fascist, colonialist and genocidal mindsets see their downfall in this historic struggle”.